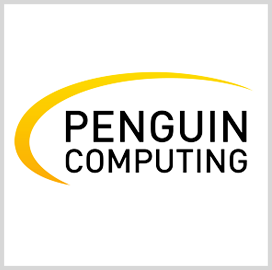 Penguin Computing has received two awards for its sales and marketing efforts with NVIDIA to drive the adoption of graphics processing unit technology across the federal and high-performance computing markets. NVIDIA named the SMART Global Holdings subsidiary a "Federal Partner of the Year" and "Preferred Original Equipment Manufacturer High Performance Computing Partner of the Year" during an awards ceremony held at the NVIDIA GPU Technology Conference, Penguin Computing said Monday. California-based Penguin Computing helped design, implement and manage Tesla V100 products, as well as integrated DGX-2 clusters into federal accounts. The firm noted its artificial intelligence practice built an AI technology based on the Open Computer Project specification and designed to work with the Tundra Extreme Scale system equipped with the NVIDIA's T4 GPU.